President Emmerson Mnangagwa today told the villagers in Chimanimani that he is the ruler of Zimbabwe who rules over them. 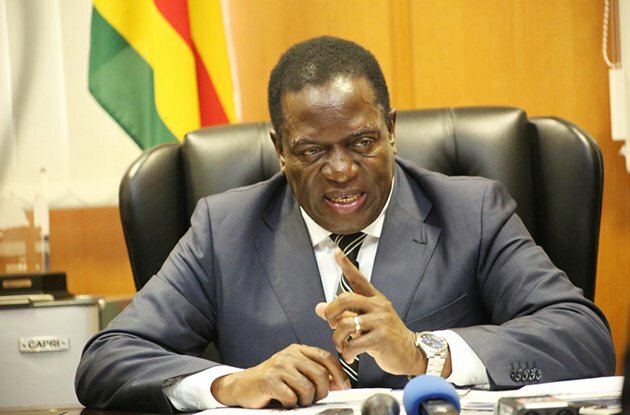 President Mnangagwa said the statements after the villagers booed Chimanimani East Member of Parliament Joshua Kurt Sacco when Vice President Constantino Chiwenga mentioned his name during the President tour of the cyclone Idai hit area. Taking to the podium Mnangagwa said, "This one that you say you don't like, I like him," Mnangagwa said, tapping Sacco on the shoulder. "That's your problem (that you dislike him) because I as the ruler of this country, who rules over you, I like him." Commenting on Mnangagwa's statement Professor Jonathan Moyo said, "Mnangagwa's self-description as "the ruler" shows he knows that he's illegitimate & does not have the popular will of the people to govern as an elected president. You go to UAE and find the Ruler of Dubai. Voila: you come back calling yourself The Ruler of Zimbabwe." Prof. Moyo then posted a screenshot with synonyms of the word ruler.